It’s GREEN Monster but it ain’t what you think! 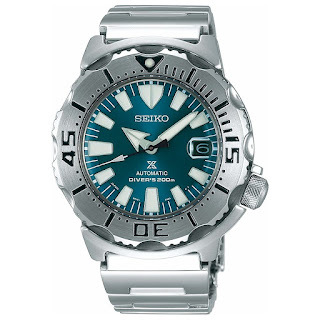 This is a special Seiko Monster III with a green dial produced for the Japanese domestic market. It comes with Seiko’s higher grade 6R15 caliber, a 23 jewel, automatic mechanical movement which has a daily accuracy rate of +25 seconds to -15 seconds (at temperature 5 ℃ ~ 35 ℃), a frequency of 6 vibration / sec. and a power-reserve of approx. 50 hours. Its case is in Stainless steel. 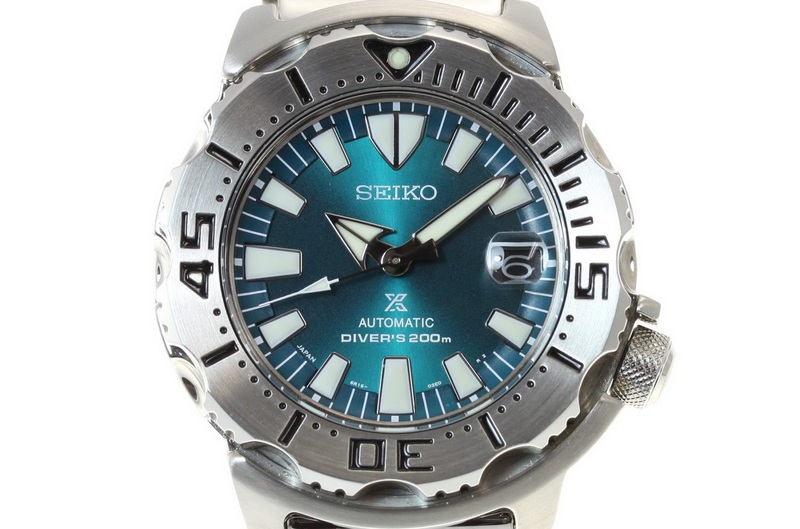 Diver’s features include: a slightly domed Hardlex mineral crystal, a unidirectional rotational divers bezel, a screw-down crown and case-back and 200m of water-resistance making it suitable for scuba diving. Its case has a diameter of 42.3mm and a thickness of 13.1mm. 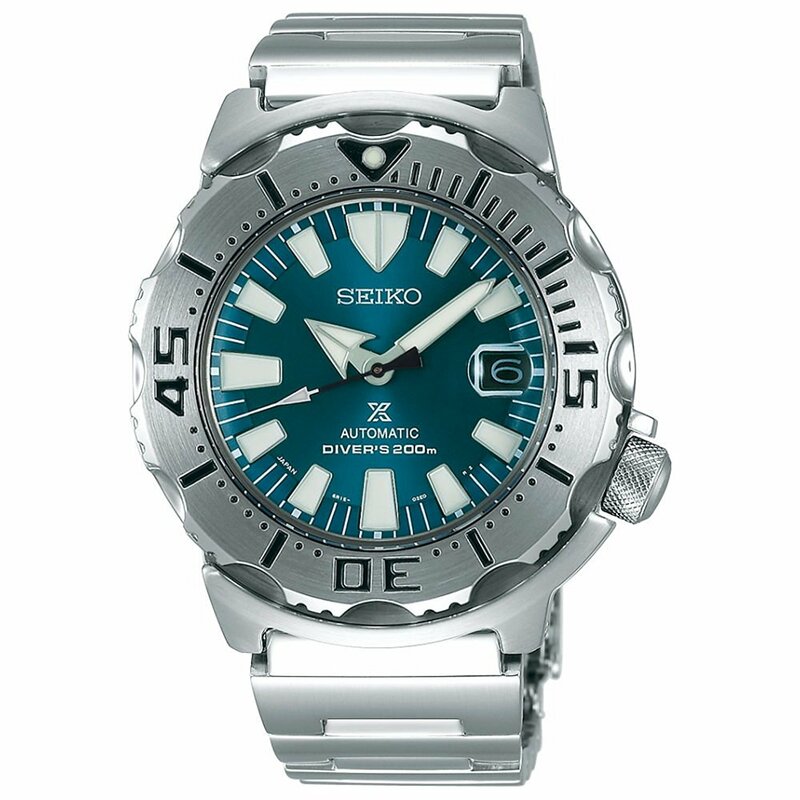 It comes on a full Stainless steel bracelet with a double-locking divers clasp with a single-push-button release diver’s extension system.